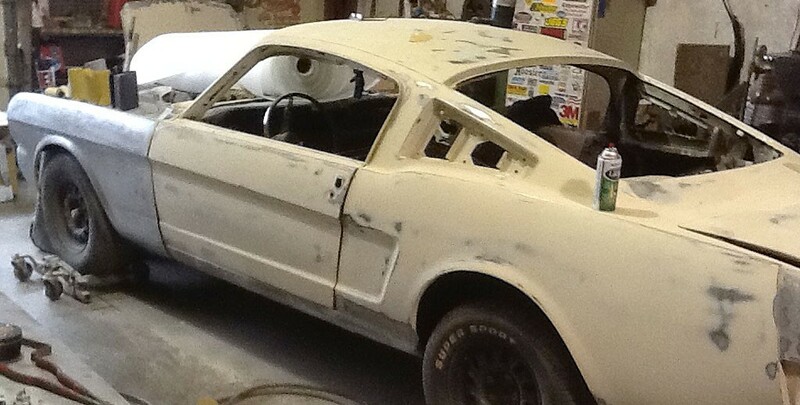 This pony had been in a previous collision and was a bit twisted. 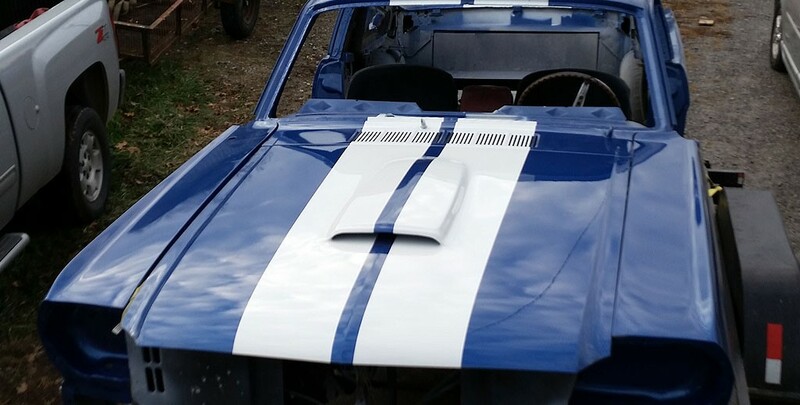 The frame was straightened, new quarter panels were added as well as a molded hood scoop and some simple body line deletes. 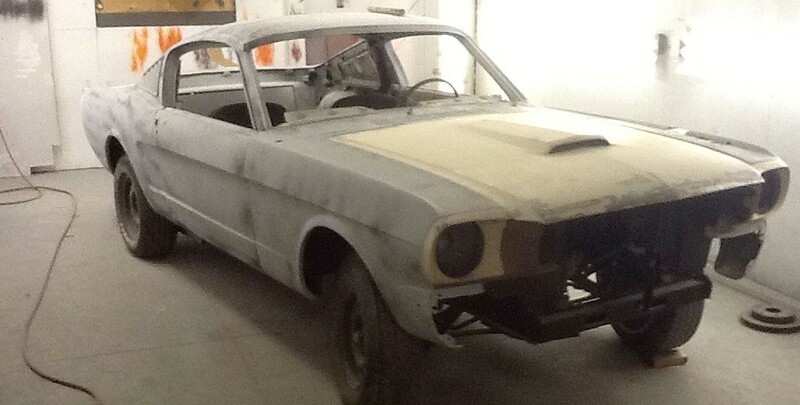 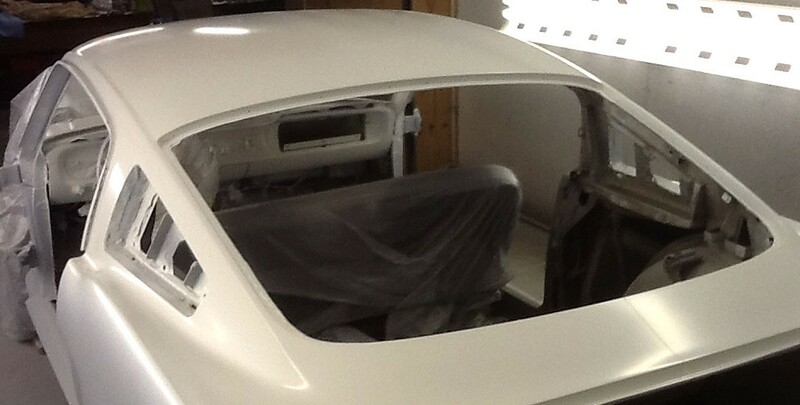 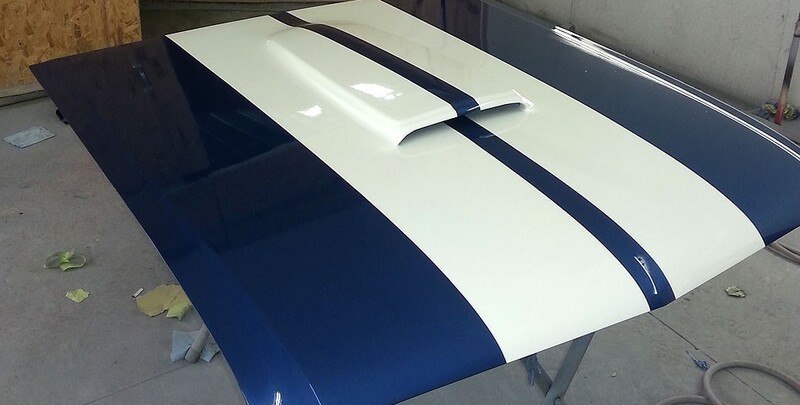 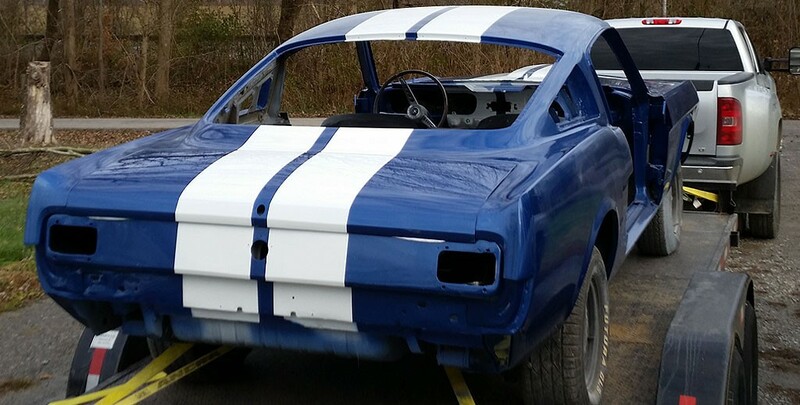 The paint was a one-off blue and white Shelby replica the customer picked out. 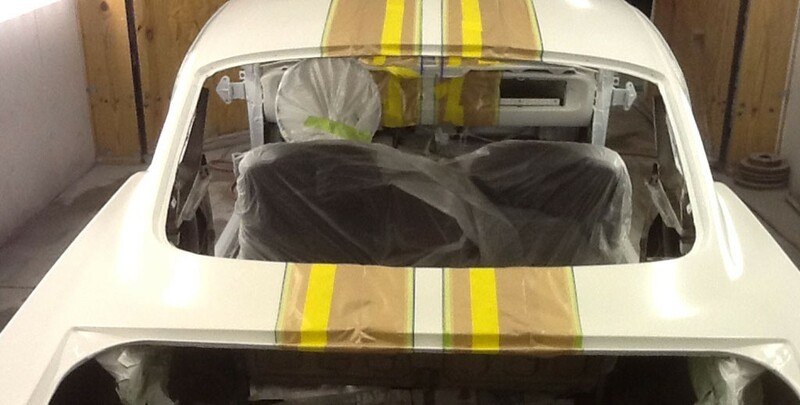 The Shelby stripes were done in-excess by continuing the stripes into the jams, under the hood and deck lid, as well as onto the dash.